Is Driver Booster Pro better than Driver Booster Free? Driver Booster, if you're not familiar, is a program that lets you keep your computer drivers up to date. It installs missing drivers, replaces outdated drivers, and is super easy to use. However, the free version of Driver Booster is free because there's a pro version, Driver Booster Pro. The professional version of Driver Booster has additional feature you won't get if you just install the free software. Do these differences matter to you? Keep reading to learn how Driver Booster Free and Pro differ to help you decide which one to download. Maybe you can get by with the free version, or maybe the pro edition is better for you. Keeping drivers backed up is important because should something ever go wrong with them, restoring the backup is easy and effective at reversing the problem. Maybe Driver Booster itself somehow corrupts the driver install, or malware attacks your computer and destroys how a driver works. For whatever reason, you can always restore a driver if you have a backup. 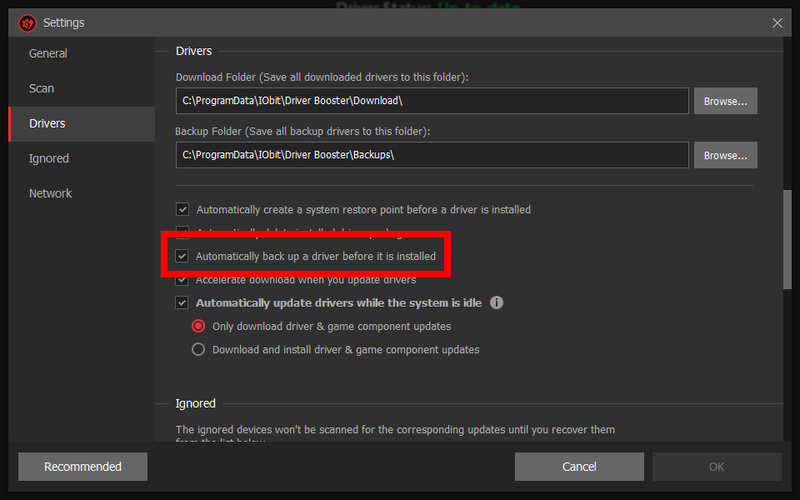 Driver Booster Free doesn't back up drivers automatically, but you don't need the pro version to keep your drivers backed up. Free software like DriverBackup! can be used as a replacement for this feature. With that being said, however, auto-backup before driver installations is super handy because you don't even have to think about it. When you're not using your computer, it's considered idle. 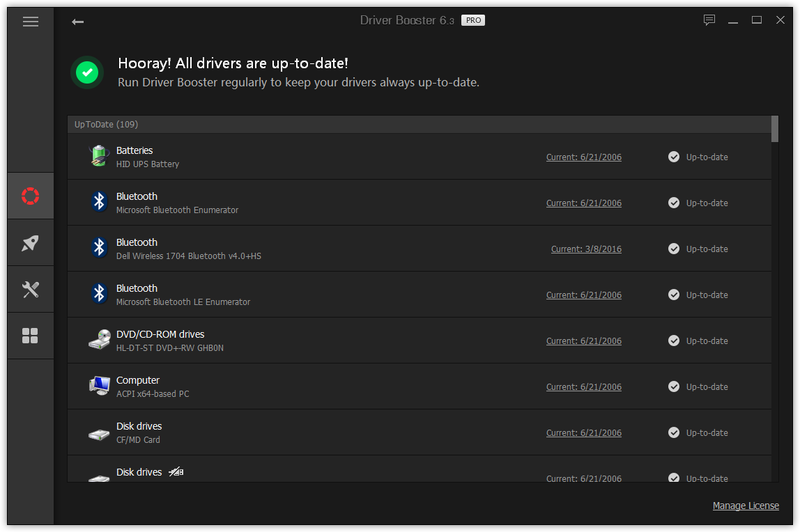 Driver Booster Pro can use this idle time to automatically search for, download, and install drivers for you. It's a really great feature to have, but you don't need it. 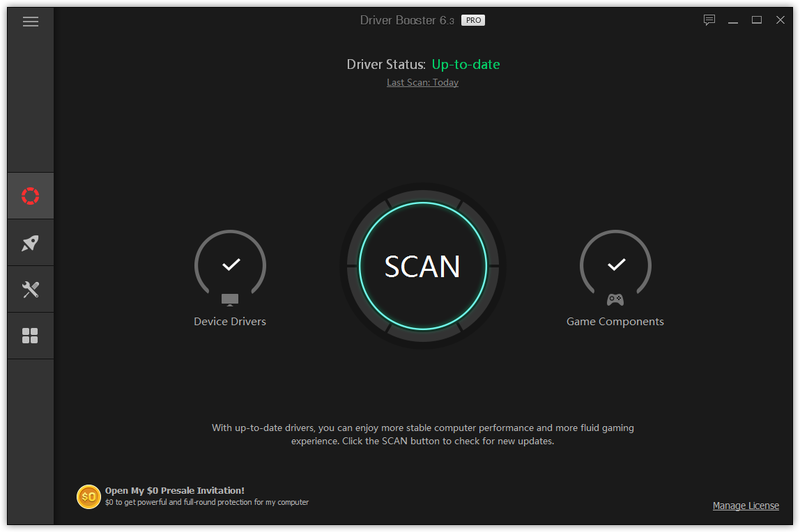 Driver Booster Free lets you set up scheduled scans so that you're notified about outdated drivers, and all you have to do from there is start the download/install process yourself. This is really easy to do and shouldn't be the primary reason to buy Driver Booster Pro. This one is crucial and might be what turns you away from Driver Booster Free. The professional edition of this driver updater gives you access to millions of driver downloads, a much larger database than the free edition. What this means is that you might run into a situation where Driver Booster Free won't update this or that driver because you're not using the paid version. In other words, you could be using the free version and have it tell you all your drivers are updated, but then if you switch over to Driver Booster Pro on the same computer (even the trial) and scan again, it could potentially find updates that the free version didn't. Another Driver Booster Pro vs Free comparison includes the speed at which you can download drivers through the program. IObit says that the pro version downloads are performed faster than the free version, and while that might absolutely be true, it shouldn't matter that much. Driver updates hardly need to be installed right now, so having a version of Driver Booster that can get you these downloads as fast as possible is a bit unnecessary. 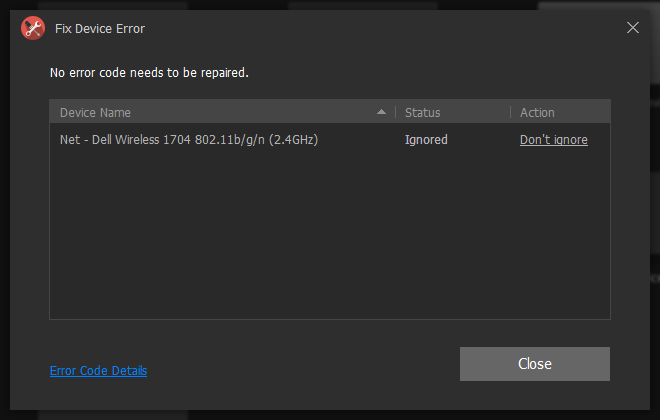 One tool in Driver Booster Pro is called Fix Device Error. It scans for errors in the devices listed in Device Manager. As neat as it is to have a tool that can fix problems with your devices, it's not something you necessarily need. Device Manager error codes can be found yourself rather easily by poking around Device Manager. However, if you don't have any desire to do that and you want a nice little tool that can do that for you and possibly fix the problem, then this might be something you'll like. Driver Booster Free might not include that tool but it does let you fix sound errors, network failures, and resolution problems. There's also a tool in the free edition that can clean up device data related to the devices currently unplugged, which might help clear out hardware related problems. According to IObit, this Driver Booster Pro feature helps "Improve gaming experience with necessary game components." For example, this might include downloading and installing updates for Flash or Shockwave to ensure smooth online gameplay. If you're a gamer, then you probably already have these programs on your computer, and like most software, they likely tell you themselves when they need an update. 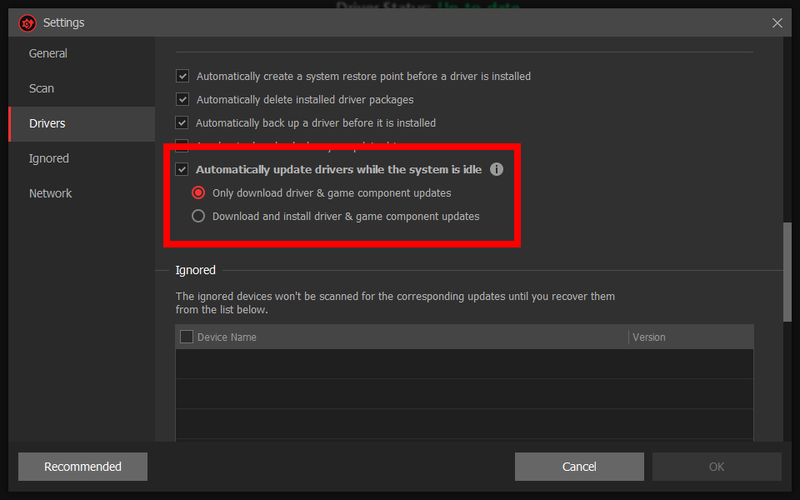 Driver Booster Pro want to add this functionality in with driver updates, but it's really not all that important. 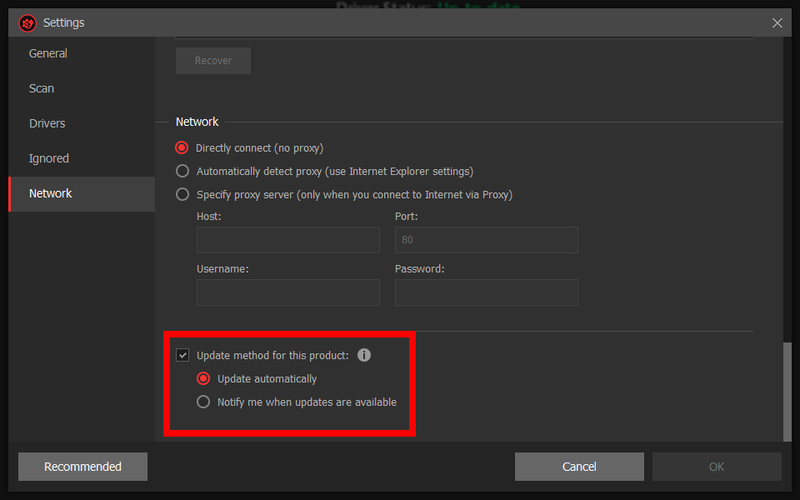 It's nice to have programs update themselves automatically, but you can just as easily go to the IObit website and download Driver Booster there. The free version tells you when there's a new update you can download but it won't retrieve it and install it for you automatically like Driver Booster Pro. Another difference between Driver Booster Pro and Free is the 24/7 technical support. This support is included as part of your pro subscription, and IObit says it works "on demand," meaning you can send questions at any time. However, even if you use Driver Booster Free, you can still contact IObit if you need to. Free, 24/7 support sounds nice but isn't really necessary for a driver updater program.